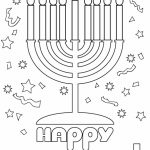 I'm not a Jew so I do not celebrate Hanukkah. Still, like my parents and all my teachers taught me years ago, I've got to respect all religions with all their religious practices and holidays. In fact, I managed to learn about it a bit just now, thanks to Wikipedia. 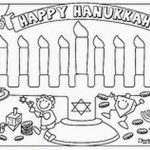 Apparently, Hanukkah is celebrated to commemorate one of the big events in Jewish people history. It's the rededication of the ir Holy Temple in Jerusalem after it was taken over by the Seleucid Empire, a kingdom that emerged after Alexander the Great passed away. The struggle was widely known as Maccabean Revolt. The celebration is held for eight days and nights and it's done by kindling candles placed on a unique candelabrum. 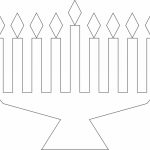 This candelabrum has nine branches and it's called chanukiah. I think this is where the festival has got its name from. 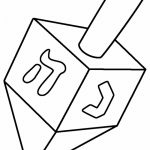 Now this is all I know about Hanukkah. 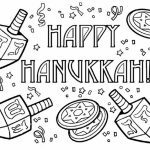 If you're a Jew and want to tech the young generation about your culture, the following Hanukkah coloring pages might help you a bit. 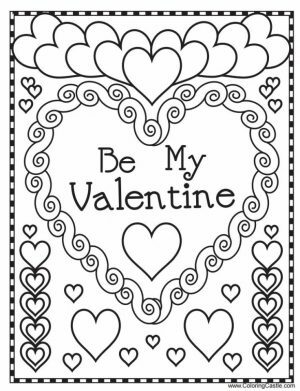 As you probably know, it's not always easy to teach kids about certain tradition, especially one that's really really old like this one. 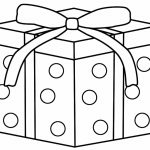 These printable images are entirely free but keep in mind to use them only for personal and educational only. The word Hanukkah means dedication. That's what it takes to launch a war against superpower like the Seleucid Empire. With enough dedication and commitment, God creates miracles. That's a good lesson for kids, isn't it? Many families celebrate the holidays by enjoying a meal together. Latkes, or potato pancakes, are a popular Hanukkah dish. They are often served with applesauce and sour cream. Jelly doughnuts, known as sufganiyot, are also popular. 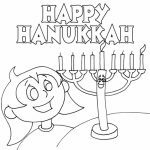 Each night of Hanukkah, an additional candle is placed in the Menorah from right to left, and then lit from left to right. On the last night, all the candles are lit. The Maccabean Revolt was the world's first ideological war, fought by a small band of pious Talmudic scholars who engaged in cunning stealth warfare. If you visit Israel, you can see the caves where these brave people of Maccabee hid in. 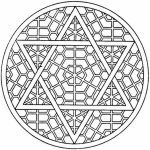 Jewish holidays are based on a lunisolar calendar, which is based on the movement of the sun and moon. 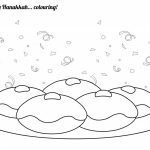 A year on the Hebrew calendar ranges from 353 to 385 days. 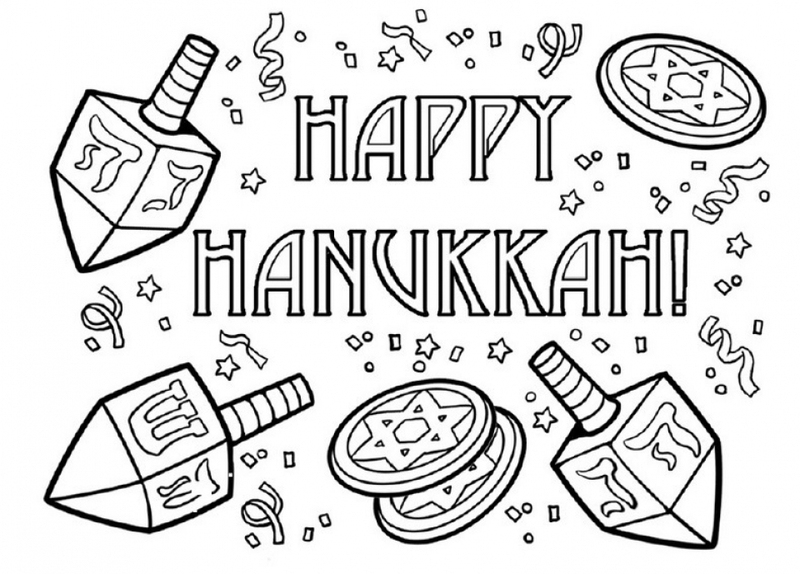 So, unlike Christmas, Hanukkah does not fall on the same date each year. 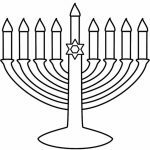 In 2016, the first day of Hanukkah falls on December 24. 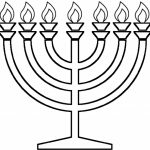 In Germany, the eighth and last night of Hanukkah used to be very special. 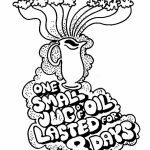 All the leftover wicks and oil were lit in giant bonfires. People sang songs and danced around the fire, often until the small hours of the night. 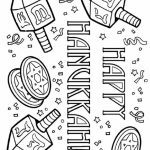 Related Posts "Hanukkah Coloring Pages"